Scientists usually use the word “venomous” rather than “poisonous” when they’re talking about snakes. If a lethally poisonous snake bites another lethally poisonous snake of the same species does the bitten snake suffer healthwise or die? – Ella, age 10, Wagga Wagga. If a venomous snake is bitten by another venomous snake of the same species, (for example during a fight or mating), then it will not be affected. However, if a snake is bitten by a venomous snake of another species, it probably will be affected. 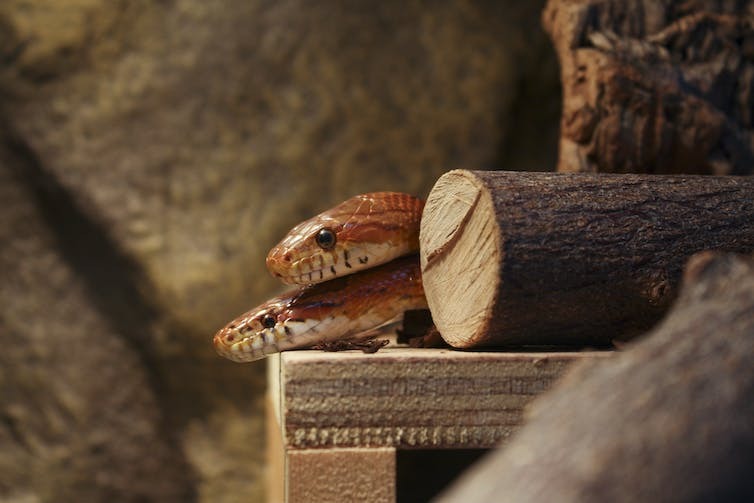 This is probably because snakes have evolved to be immune to venom from their own species, because bites from mates or rivals of the same species probably happen fairly often. But a snake being regularly bitten by another snake from a different species? It’s unlikely that would happen very often, so snakes haven’t really had a chance to develop immunity to venom from other species. Scientists often collect venom from snakes to create anti-venoms. Many people believe that snakes are immune to their own venom so that they don’t get harmed when eating an animal it has just injected full of venom. But in fact, they don’t need to be immune. Scientists have found that special digestive chemicals in the stomachs of most vertebrates (animals with backbones) break down snake venom very quickly. So the snake’s stomach can quickly deal with the venom in the animal it just ate before it has a chance to harm the snake. People that have snakes as pets often see this. If one venomous snake bites a mouse and injects venom into it, for example, you can then feed that same dead mouse to another snake. The second snake won’t die. 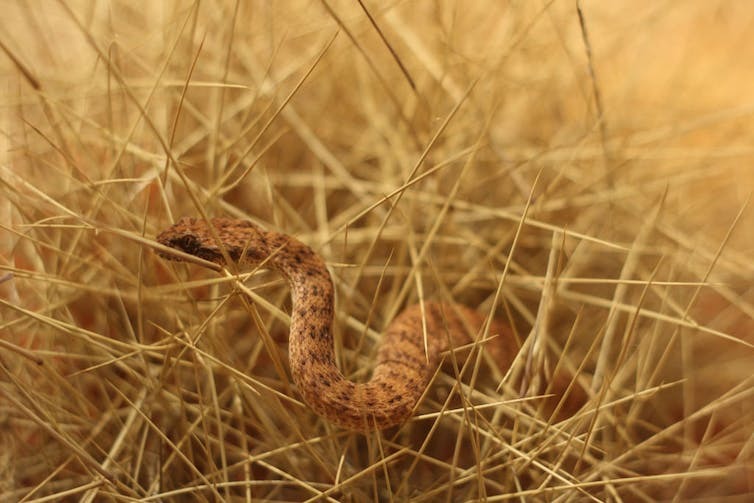 Read more: Curious Kids: How do snakes make an ‘sssssss’ sound with their tongue poking out? The eastern brown snake, which is found in Australia, is one of the most venomous snakes in the world. By the way, scientists usually use the word “venomous” rather than “poisonous” when they’re talking about snakes. Many people often mix those words up. 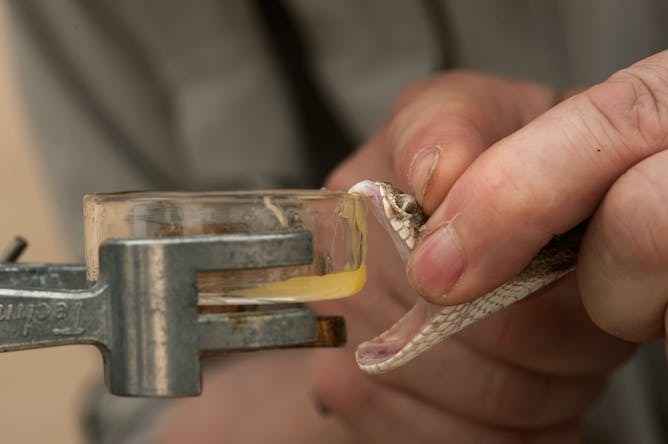 Poisons need to be ingested or swallowed to be dangerous, while venoms need to be injected via a bite or a sting. Some snakes can inject their toxins into their prey, which makes them venomous. However, there seem to be a couple of snake species that eat frogs and can store the toxins from the frogs in their body. This makes them poisonous if the snake’s body is eaten. Over time, many other animals will have learned that it is not safe to eat those snakes, so this trick helps keep them safe.